An average job opening gets 300 resumes sent in by applicants. Do you think employers have time to read them? Of course not. They merely skim them. 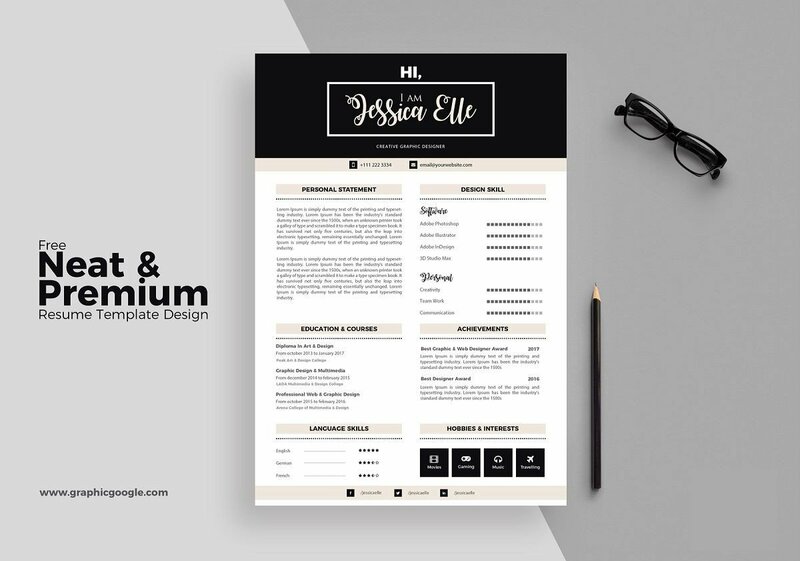 With a beautifully-designed graphic resume template, you’re guaranteed to grab recruiters’ and hiring managers’ attention. You’ll automatically become memorable. This is especially true for creative industries: art, graphic design, fashion. 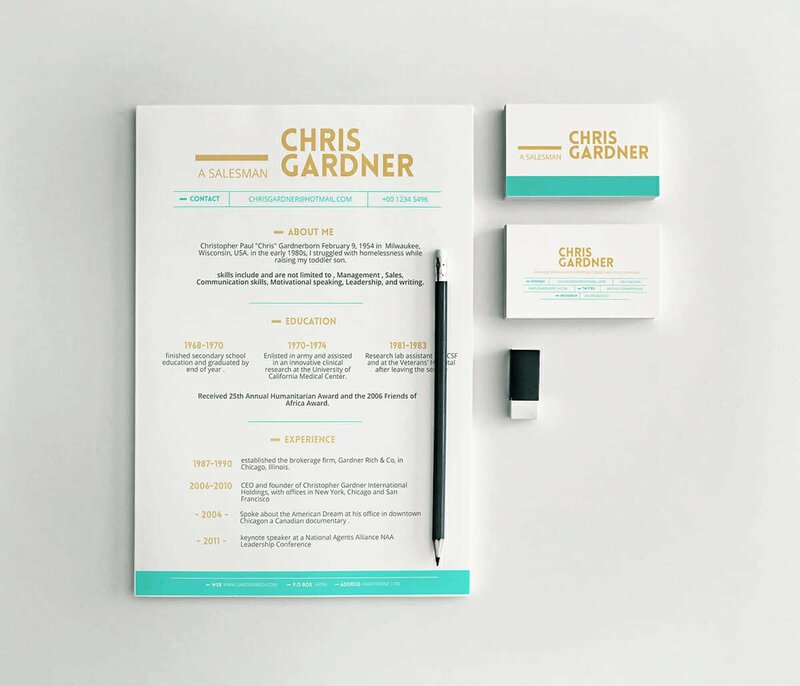 A professional, modern, and creative resume design will surely make your resume stand out. If you save your Photoshop, Adobe Illustrator or InDesign resume in the .jpg or .png format, it won't be scannable for the Applicant Tracking Systems (ATS). Why? All layers including the text will get merged so the software used to preselect fitting candidates will see your resume as an image. With no text on it. As if you submitted a blank resume. The solution? Always save your resume as PDF. Keep scrolling to see the gallery of the most beautiful downloadable resume templates for Photoshop, Illustrator, or InDesign. FREE templates included! You can choose an easier way to make a stunning resume and use our resume builder. Just fill in the blanks and have a professionally designed resume ready in 5 minutes. Plus, you'll get insider tips from HR pros and right vs. wrong examples as you make your resume. See 20+ resume designs and layouts and create your resume here. Professional resume layout by Zety - See more templates and create your resume here. Note: We cannot guarantee that all of the below templates are ATS-scannable. All of our templates, in turn, have been designed to pass every ATS resume test. 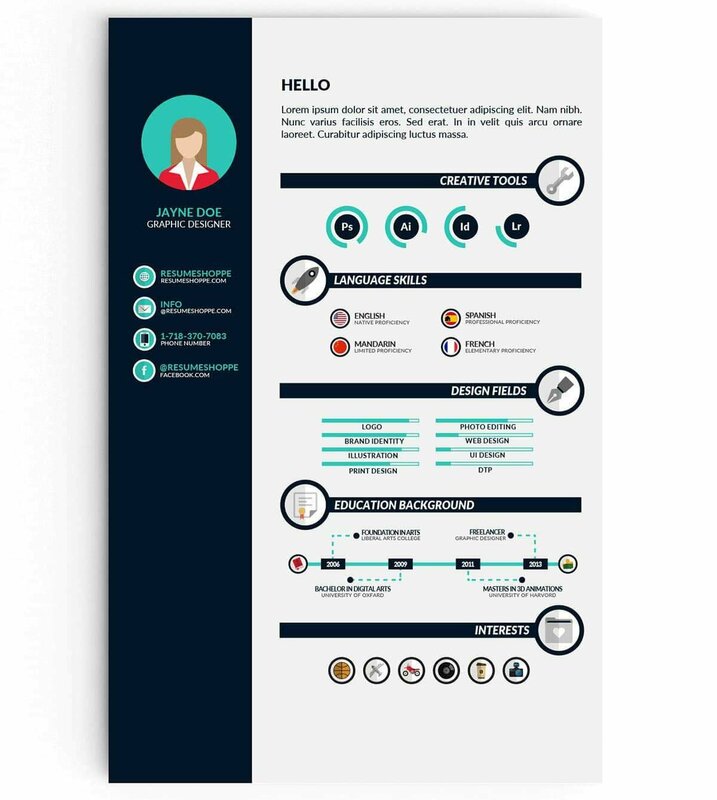 Julio A Ramirez De Freitas’s “Simple Resume Template” is a nice combination of text, timeline, and an infographic resume. 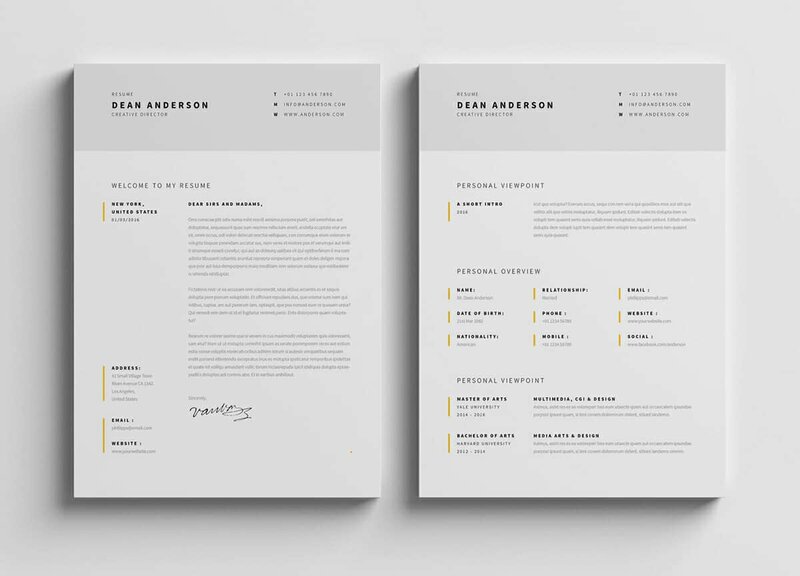 Although this Photoshop resume template is not available for Illustrator or Indesign, it’s one of the best modern yet simple resume designs out there. Here’s the link to this free Photoshop resume template. Another free template on our list. It’s a cool resume editable in Photoshop, Illustrator, or InDesign. What we loved most about it is its use of tiny icons across the whole page that guides readers’ eyes to where you want them to go. A very creative one-page resume design. Here’s the link to this Photoshop, Illustrator, and InDesign free resume template. Designbird’s “Clean” resume is very clean indeed—legible sections, nice font, clear layout. A great artistic resume template for job seekers in creative, as well as more traditional industries. This one’s editable in Photoshop and Illustrator. Here’s the link to this Photoshop and Illustrator resume template. 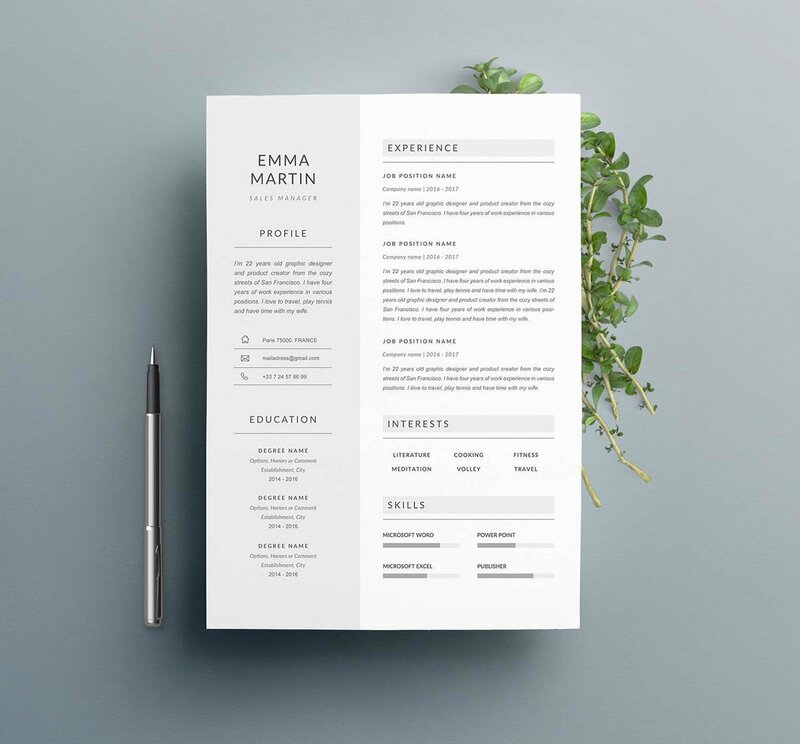 Le Colibri Creations’ “Emma” is a minimalist, visual Adobe resume template you can download and edit in Photoshop. A great pick for those who need a basic resume without fireworks but with a good-looking, elegant design nonetheless. 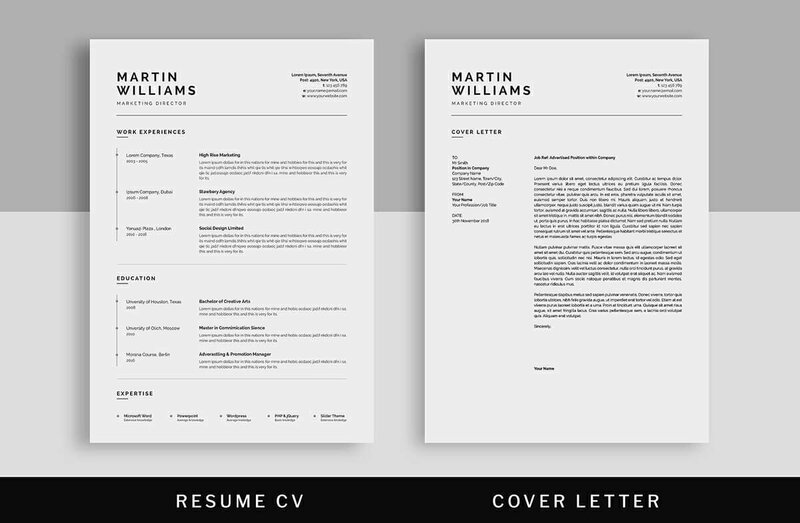 Here’s the link to this PSD resume template. EgoType brings you one of the most beautiful minimalistic Adobe Photoshop, Illustrator, and InDesign resume templates. It’ll be an effective resume design for virtually all industries, from creative to traditional, as well as for academic purposes. Here’s the link to this Photoshop, InDesign, and Illustrator resume template. 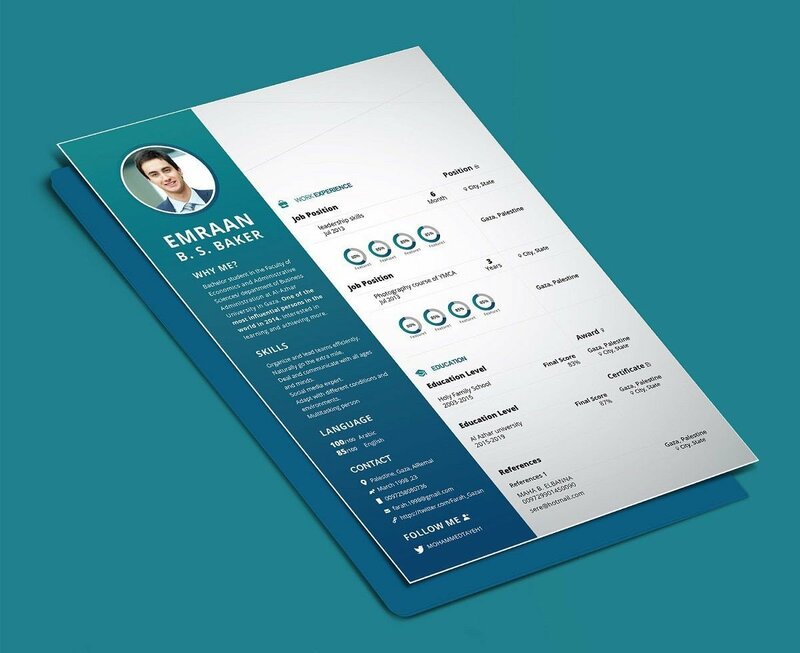 “Project CV” by Mohammed Tayeh is the complete package: it’s a great modern design with nice resume icons which comes in templates to make a resume, CV, and a cover letter! A fantastic Adobe resume template available in PSD, AI, and INDD formats. Here’s the link to this Photoshop, Illustrator, and InDesign resume template. Another free Illustrator resume template on our list. 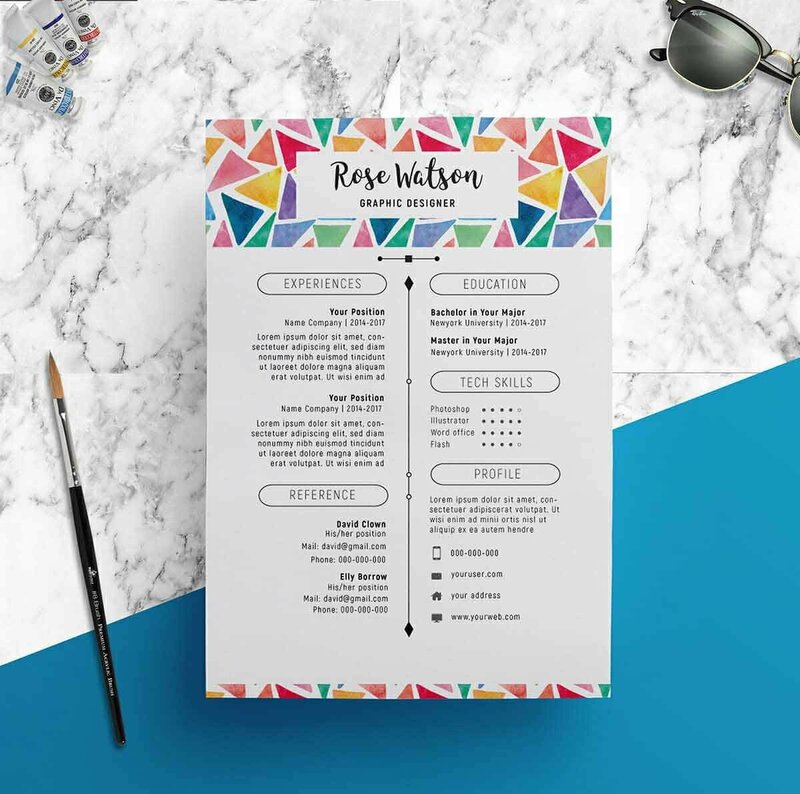 This one has bold styling and casts your name in the spotlight to help you stand out from the rest of the resume stack. Here’s the link to this free Illustrator resume template. 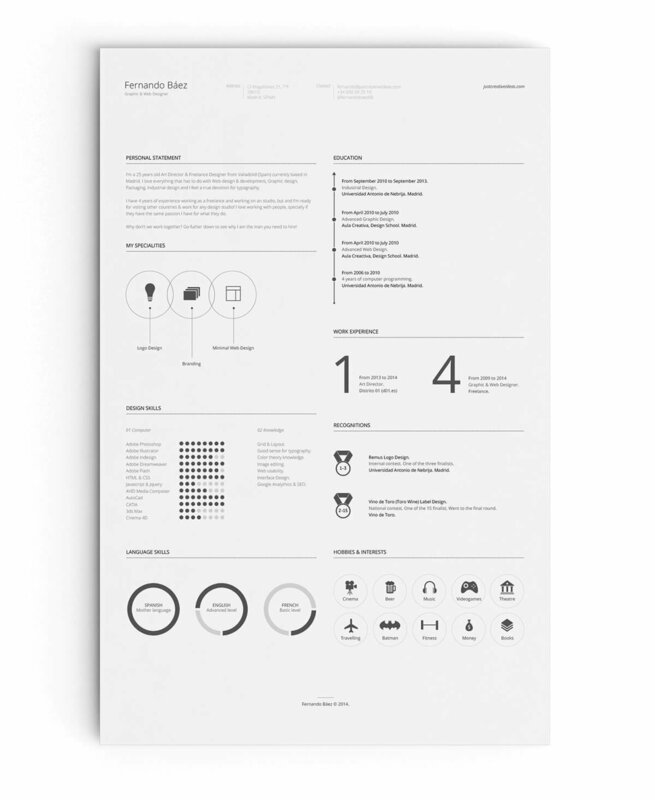 This one, named “Free Minimalistic Resume,” was created by Fay Zodiac. 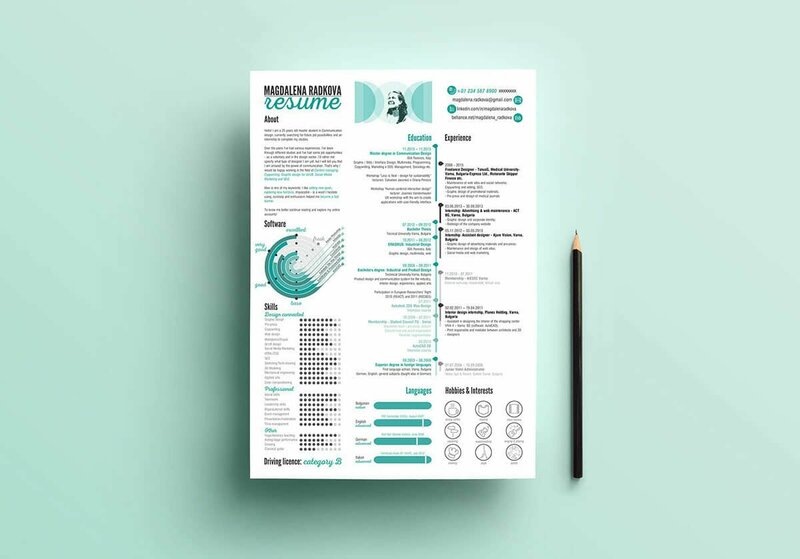 It’s a great example of how mixing a classic, basic resume design with a large, eye-catching header can give your resume a creative, yet professional touch. I’ll be straight. Apart from our own Zety templates, this one’s my personal favorite in our gallery. Designed by UX-Group and called “Minimal Resume CV,” it uses a side column for a timeline in the work experience and education sections. Smart use of white space makes this Photoshop and InDesign resume template beautifully uncluttered. As a bonus, you’ll get a cover letter template and a ready-to-print business card. Here’s the link to this InDesign and Photoshop resume template. Number ten in our gallery is SHOWY 68’s “Watercolor Triangle Resume Template—CV.” One of the most unique and memorable Adobe resume templates you’ll ever see. Ideal for applications to companies with a cool, relaxed culture. Here’s the link to this Illustrator and Photoshop resume template. 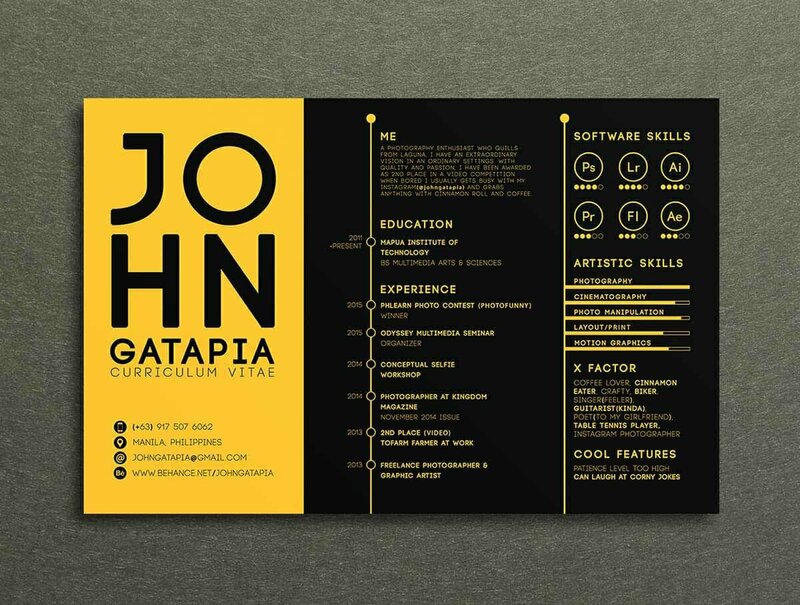 In this high-contrast photoshop resume template, black is the new white and, well, orange is the new black. Imitating the design of websites for the visually impaired, it’s a very refreshing template. Using it might prove a little risky as it might not look great when printed out, but it sure does grip attention. 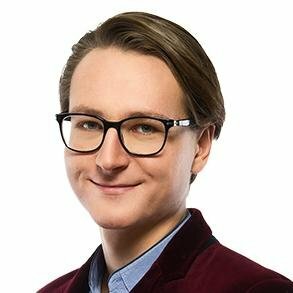 “Free Resume for Designers” by Paul Jansen is just that—a free infographic Illustrator resume template for other designers to use. A really cool CV design full of pretty icons for section titles and entries. Here’s the link to this Illustrator resume template. Magdalena Radkova’s creative Illustrator and Photoshop resume template is light on the graphics and heavy on the info. She uses a few images to tastefully represent several sections, such as her software proficiency and her hobbies and interests. An excellent resume template for experienced professionals. As the last one on our list comes this masterpiece from Fernando Baez. This free Illustrator resume template is the fourth most valued project in Behance history (and I don’t only mean amongst resume templates!). It’s crisp, elegant, and easy to read while showing creative flair and originality. The internet is filled with run-of-the-mill visual resume templates editable in Illustrator, Photoshop, or InDesign. We’ve browsed through all (okay, most!) of them to present you with the best of the best. 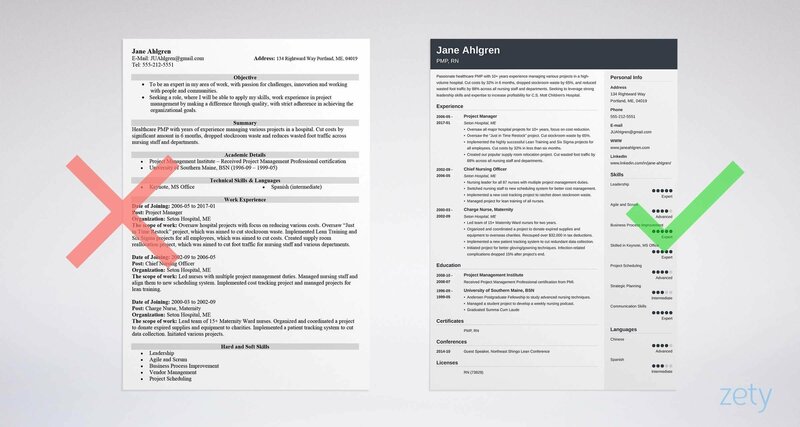 Pick a resume template that is easy to read and one that reflects your individual style. Use a template that matches the culture of the company you’re applying to. Make sure there’s a text layer on your Adobe resume so that it’s ATS-scannable. 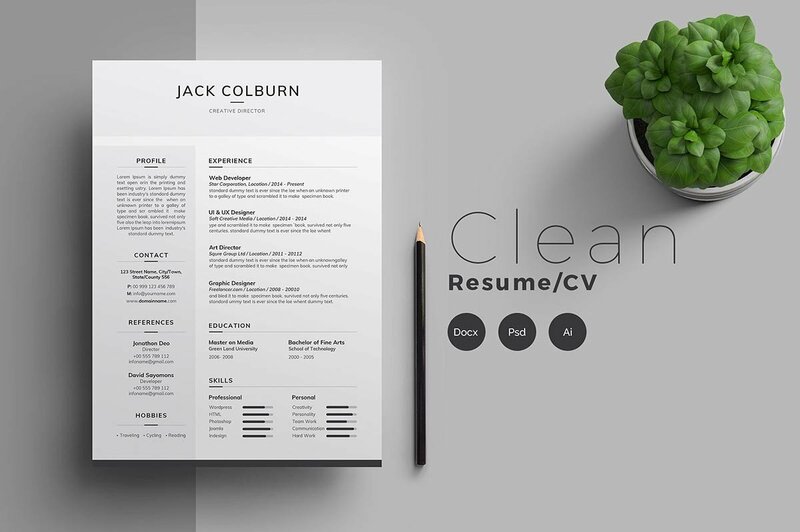 Even if you download a ready PSD/AI/INDD resume template, add lots of customization. Thanks for stopping by! Which of the above templates are your favorites? Perhaps you’ve created your own visual resume you’d like to share with the world? Maybe you have other questions about designing a good-looking resume? Drop me a line in the comments, let’s chat! What is a combination resume and how to write it? 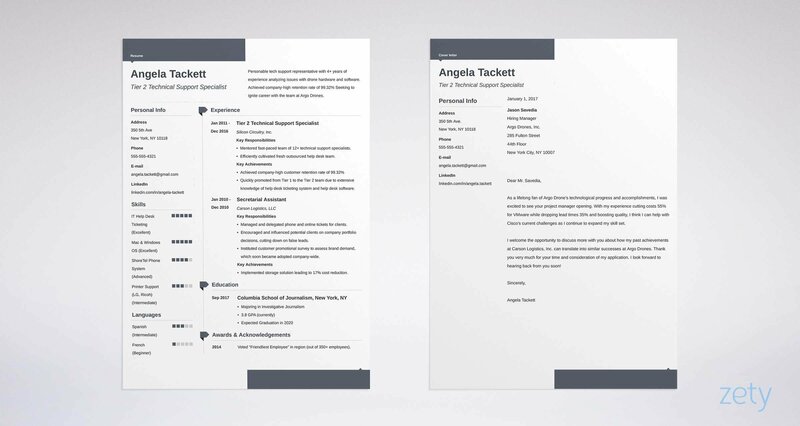 See combination (hybrid) resume templates and samples PLUS actionable examples and expert tips. Read more!